Today for our “Genres (and why we write them)” series, we have J.M. Frey, an author who writes across the speculative fiction genres (namely Sci Fi (social science fiction), Fantasy (epic, urban, steampunk), and horror (urban)). Find her on Twitter or at www.jmfrey.net. Q: What do you love about your genres? It’s funny you ask, because I just gave a keynote speech for the local Rotary Club about the importance of writing and why SF/F is more than just escapist fluff. I talked about how SF/F can, yes, fun and escapist, and in troubling times like this – the #Brexit, Orlando, ISIL – escapism is important for mental health, for arts therapy, and keep the arts alive and people filled with joy. But at the same time, it can teach. The Hunger Games speaks frankly about the dangers of dictatorships, media over-control, and blind consumerism and classicsm. Harry Potter teaches readers about racism. Star Trek is about pacifism. Lord of the Rings, much as Tolkien disliked allegories being applied to his work, speaks eloquently about environmentalism. Think of the messages in 1984, Logan’s Run, Metropolis. I think this is incredible that stories can both teach, provide awareness, encourage discussion, and entertain. And SF/F gives us the ability to talk about HERE and NOW by setting it THERE and THEN. I often talk about how a person is a late. A book is a stone thrown into the water. It causes a ripple and then the lake goes placid. The disruption the stone causes smoothes over. But that stone, it’s still there. At the bottom of the lake. It is now a part of the lakebed. The foundation of that person. It shapes the water like a vessel. That is why I love writing. Q: Is there anything you hate? Self-important gatekeeping nerd-jerks. See: #Gamergate and the 2015 Hugo Ballot. Q: Has your genre shaped your publishing goals? Yes! I found Neil Gaiman late in my reading life, and I adore the fact that he writes his stories in the medium that is best for the story, not the medium that he has to. He writes screenplays and poems, and song lyrics, and kid’s picture and middle grade books, novels, novellas, comics… and that’s really influenced and inspired me, because for the first time I felt the freedom to imagine my stories in other mediums. I realized I didn’t have to try to jam things down into novels if they didn’t fit into novels. I could try comics, or screenplays. And this was really better for my creativity – it could breathe. And I think that’s a very SF/F thing. SF/F novelists very often also write comics, screenplays, articles, magazines, reviews, etc. This is, I think, because the SF/F was so small, so marginalized, and had to be so self sufficient for so long, that we all started picking up work where we could, helping around where we could to promote each other’s work and give one another awards, and generally being a community. I mean, have you seen fandom? Cosplayers, fan ficcers, reviewers, convention committees, people celebrating SF/F in every way possible, spreading out and filling the niches, and learning and teaching. Embracing every medium, every story, and trying everything, and volunteering is just so SF/F. Fearless exploration and epic quests are between our pages. So of course, we live our lives that way, too! Q : What expectations do you find placed on you because of your genre? And that’s super-annoying. So is the mainstream awards and review outlets looking me over because I write ‘genre’ (see my first answer for my thoughts on why that’s BS). But having said all that, it’s nice being part of a genre, because the fans are so loyal, and so enthusiastic, and so creative. You just don’t get that kind of love in mainstream fiction. I adore it. J.M. is a voice actor, SF/F author, and professional smartypants on AMI Radio’s Live From Studio 5. 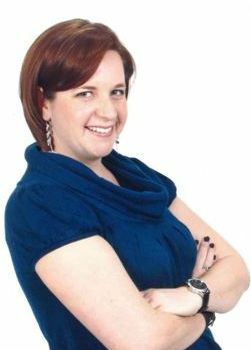 She’s appeared in podcasts, documentaries, and on television to discuss all things geeky through the lens of academia. Her debut novel TRIPTYCH was nominated for two Lambda Literary Awards, nominated for a 2011 CBC Bookie, was named one of The Advocate’s Best Overlooked Books of 2011, and garnered both a starred review and a place among the Best Books of 2011 from Publishers Weekly. 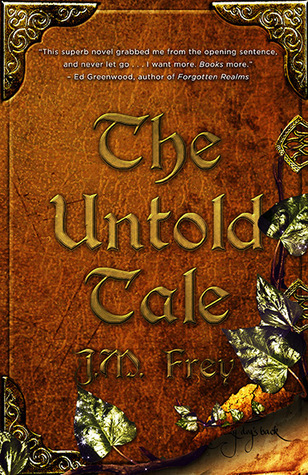 Her sophomore novel, an epic-length feminist meta-fantasy THE UNTOLD TALE (Accidental Turn Series #1), debuted to acclaim in 2015.